Psyllium is native to Iran and India and is currently cultivated in these countries. The seeds are primarily used in traditional herbal medicine. 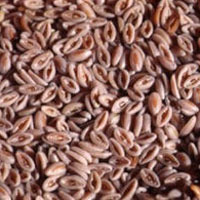 Psyllium seed husks are mainly used to treat constipation. A preliminary trial found that psyllium, a good source of fiber, was effective in relieving the symptoms associated with diverticular disease and constipation. Some people with IBS may benefit from bulk-forming laxatives. Psyllium has helped regulate normal bowel activity and improved symptoms in some people with IBS. In addition to its traditional and current use for constipation, psyllium was also used topically by herbalists to treat skin irritations, including poison ivy reactions and insect bites and stings. It has also been used in traditional herbal systems of China and India to treat diarrhea, hemorrhoids, bladder problems, and high blood pressure.